The Kanye West and adidas partnership has been setting the sneaker and fashion world on fire. From the looks of things, there isn't any slowing down in sight as Mr.West has given us a look at yet another colorway of one of his kicks. 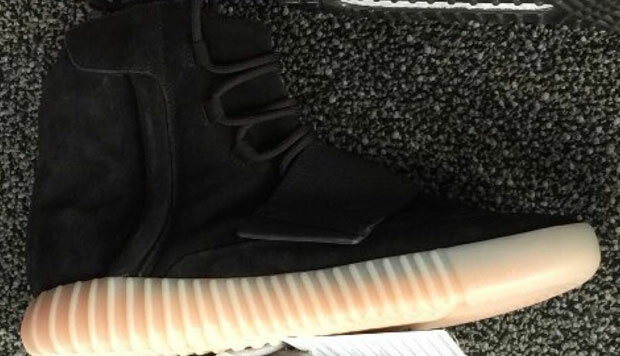 This time around 'Ye was spotted rocking the Boost 750 model in an all black suede upper. The butter soft upper is complimented by a frosted, almost translucent outsole that borders on a gum/grey color. Being that we've already seen a few other makeups in the last 2-3 weeks, we have no idea when or even if any of these are releasing but make sure to keep it locked with SneakerShouts for updates as they break.